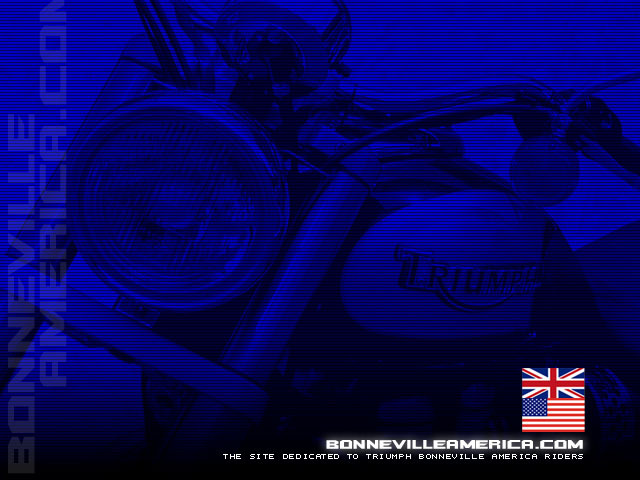 BonnevilleAmerica.com Wallpaper for your computer! Bring the excitement of your Bonneville America to your desktop with one of these colorful wallpaper graphics. PC Users: Click on your screen resolution next to the thumbnail image. When the new window opens, right-click the large image and select “SET AS WALLPAPER” from the pop-up menu. MAC Users: Click on your screen resolution next to the thumbnail image. When the new window opens, drag the file to your desktop, then using your Appearance control panel, set your custom desktop. Adobe Acrobat required. Download size (48KB). Removing the Air Injection System on the Bonneville America is a simple process with this easy to read guide drafted by Peter J. Jenks and Chris Coleman. This document is available for download in PDF format (48KB) by clicking the icon to your left. Special thanks to Peter Jenks for contributing this information to BonnevilleAmerica.com. Important Notes on this document: If you are living in the U.S. you will most likely not be able to find a drain plug for a “Nissan Bluebird” and will probably get very strange looks from the guy at the parts counter, or possibly end up with some part for a school bus. If you go with the Nissan plug in the US, request part number 11128-01M01 (thanks Beanache! ), or you can simply go to almost any retail automotive parts store like Auto Zone and request a 12mm drain plug with a 1.25 thread pattern. Peter also notes that he soon will be offering a special aluminum blanking plug for sale. I’ll keep you posted on this as I get information. As with any modification of your motorcycle, I strongly urge you to consult with a qualified mechanic before attempting this procedure. The principals of this website can bare no responsibility for any damage created by the use of this document. Proceed at your own risk. Windows Users: VCW VicMan’s Photo Editor is a FREE full-featured photo editing tool available from VicMan Software for Windows Compatible PCs. Mac Users: Graphic Converter is an extremely easy to use software available from Lemke Software, Available in Mac OS versions 8-10. Looking for the dimensionally correct Union Jack for your personal project? Here it is. Each download contains a hi-res JPG, and an Adobe Illustrator (version 10) EPS file, built to exact standards. PC users will need WinZip, and Mac users will need Stuffit Expander.